All about fish and seafood recipes, life and anything in between. Tilapia is a versatile fish, which is why you need to use deboning technique before you fry the fish. You can also use other techniques as long as you know how. 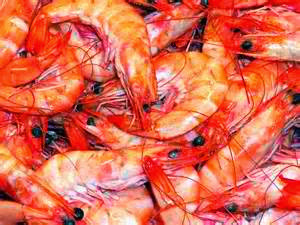 People are often mystified at how they can buy good shrimps and for good reason, as there are tons of varieties for sale. When looking for the best shrimp for dinner, there are three main factors that will help you to choose the best: Fresh or frozen shrimp, what size shrimp you need, and what format the shrimp are sold in. When the salmon skin is crispy, take it out of the pan and let it cool for a minute or two. Use a sharp chef’s knife to cut it into cracker pieces. Let it cool completely. 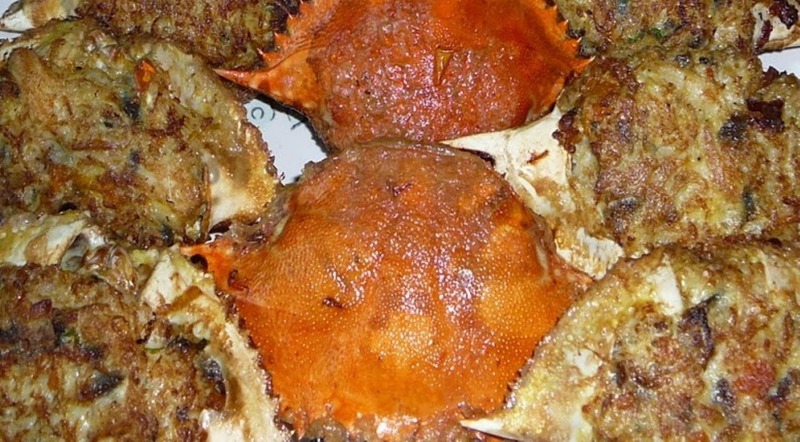 This is the natural way of cooking crabs that needs few ingredients and dipping sauce. You can choose the sauce that suits your taste. This dish is a combination of Indian and Portuguese especially the coconut milk that gives the overall taste to the dish. The spiciness or hotness can be adjusted according to your preference. If crabs is not available, substitute it lobster, fish, chicken or explore other seafoods or meats. 1. Make the curry mix by toasting the coriander, peppercorns, cloves and cardamom pods in a dry skillet until they are fragrant and the coriander just starts popping. Take off the heat and let cool a minute or two and then grind fine in a mortar or spice grinder. Mix well with the turmeric, cumin and fenugreek. 2. Saute the chopped onion and the chiles in the same pan with the oil or butter until soft. Do not brown. Add the garlic and ginger and cook for another 2 minutes, stirring occasionally. 3. Take the onion mixture off the heat and put it into a blender. Add the curry spice mix to it, then about 1/4 cup of water. Blend into a puree. 4. Pour the coconut milk into a pot and heat it over medium-high heat until it simmers. Add the sliced onion and grated coconut and let this cook for 3-4 minutes at an active simmer. 5. Add the curry from the blender and mix well, then add the tamarind paste and mix again. Taste for salt and add some if needed. 6. Mix in the crab and cook until just heated, maybe 2-3 minutes. Stir in the cilantro and serve over rice. A versatile way to cook crab and pork meats with-a-twist. Impress your friends and family members with the Thai tradition of elaborate food presentation, such as using crab shells to serve a crab meat and pork stuffing. (1) Rinse crabs and place crabs in steamer basket. Cook on high heat 5 to 8 minutes. Cool crabs slightly. 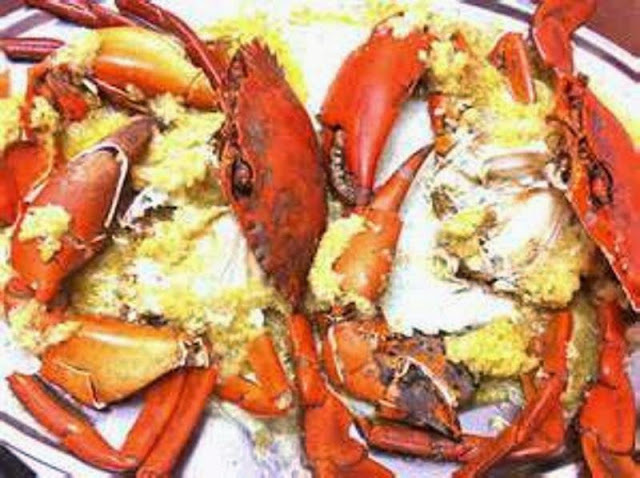 Remove meat from crabs and place in bowl. Reserve crab shell bodies. Mix crab meat with pork, fish sauce, cilantro, garlic, salt, pepper and 1 beaten egg until well blended. Stuff mixture into crab shells. (2) Beat remaining egg in small bowl. With a spoon or small brush, brush egg on top of the crab and pork stuffing. Press into the breadcrumbs. The distinct flavor from the marinade of bourbon, orange juice, brown sugar and soy sauce, this recipe is easy make with its sweetness and mellow flavor. 1.) Combine first 8 ingredients in a large zip-top plastic bag, and add salmon to bag. Seal and marinate in refrigerator 1 1/2 hours, turning bag occasionally. 2.) Prepare grill or broiler. 3.) Remove salmon from bag, reserving marinade. 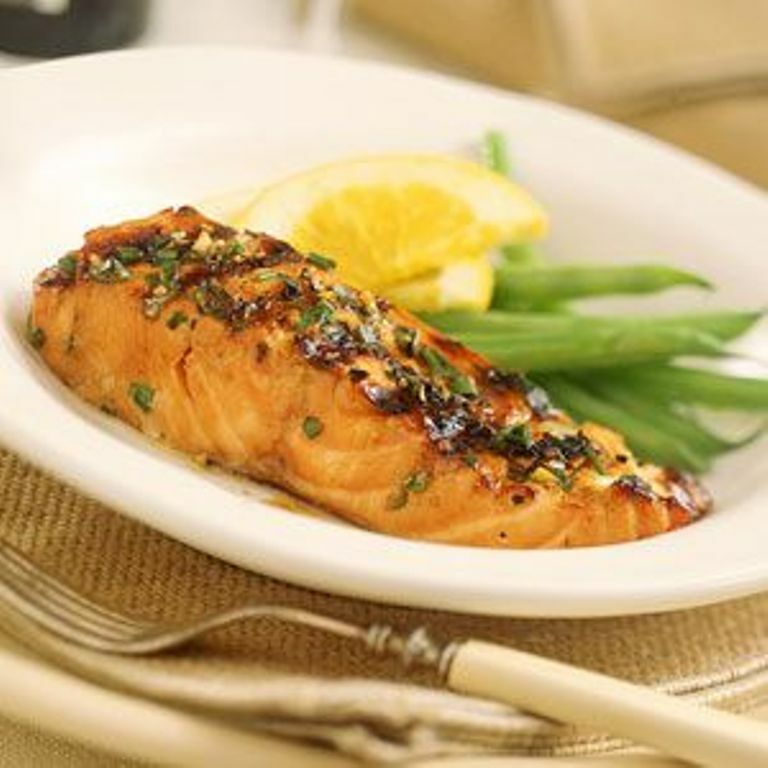 Place salmon on a grill rack or broiler pan coated with cooking spray. Cook 6 minutes on each side or until fish flakes easily when tested with a fork, basting frequently with reserved marinade. 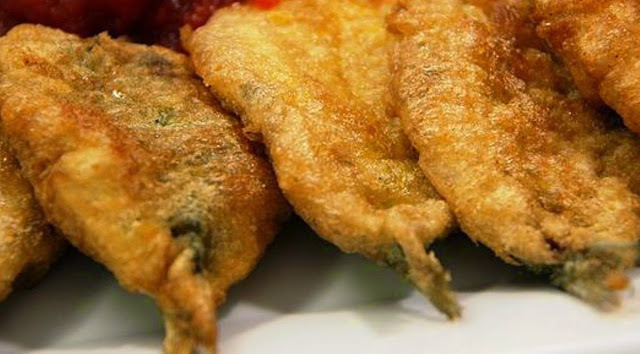 This is very versatile fish for this recipe. You can grill or poach the fish fillets and prepare salsa (mango, pineapple, oranges according to your taste. You can use Tilapia fillets or the whole cleaned fish. 1.) Rinse and then pat dry the tilapia fillets, then sprinkle them with salt and set aside. 2.) Heat the olive oil in a heavy pot that can fit the tilapia fillets over medium-high heat until a drop of water tossed into it boils away rapidly. If you have a kitchen thermometer you are looking for somewhere around 220 degrees. 3.) When the oil is hot, turn off the heat and slip the tilapia into the oil. Cover the pot and set aside. 4.) Make the salsa. Using rubber gloves if you want, remove the seeds and the pith from the habanero chile and chop it finely. If you want a milder salsa, use only half the habanero. 5.) Remove the skin and seeds from the cucumber and chop it into bite-sized pieces, about 1/2 to 1/4 inch. 6.) Peel the tangerines or oranges and remove any white pith you see. If you are using oranges, cut the segments in half. 7.) Slice the top and bottom off an orange, then slice the peel off, getting all the pith. You want to see the actual segments of the orange -- don't worry, you are supposed to be cutting into the fruit. Once this is done, hold the orange in your hand and carefully cut out each segment with a paring knife. You then have pretty segments with no skin or pith. 8.) Regardless of whether you design the citrus or not, mix the vinegar, citrus, cucumber, habanero, orange pepper, herbs, garlic and onion into a large bowl. 9.) Check the tilapia after 30 minutes. It should be done. Carefully lift out the fillets with a spatula and set them on a plate. Check to see if they're done by touching the thickest part of one with a fork: The meat should flake away easily. 10.) Add a little of the poaching oil to the salsa and serve the salsa alongside the tilapia. This dish goes well with simple white rice, tortillas or crusty bread. Cooking curry meal should be delicately cook until the end. 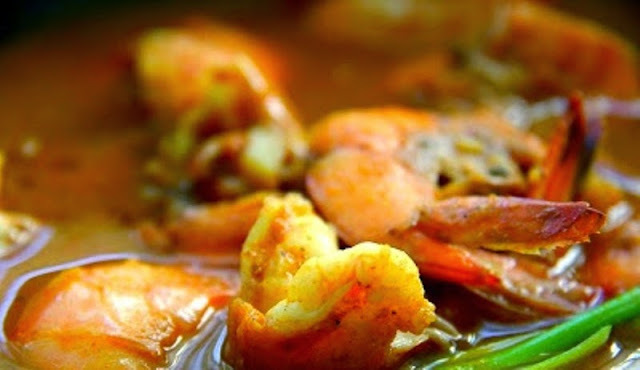 This is a seafood recipe wherein you can use any fresh seafood catch. For spiciness, adjust the quantity of chiles according to your taste. 1. Make the curry mix by toasting the coriander, peppercorns, cloves and cardamom pods in a dry skillet until they are fragrant and the coriander just starts popping. Take off the heat and let cool a minute or two and then grind fine in a mortar or spice grinder. Mix well with the turmeric, and cumin. ABOUT THE AUTHOR: A freelance writer who meticulously structured and maintained blogs just for you:A LIFE SO FAR AWAYand my other blog:OFW: THIS IS MY LIFE AND STORY Thank you for your valuable time. Follow my business & writings and you'll find what life's meant to be. 2 Boil milkfish in salted water until cooked, about 10 to 15 minutes; let cool. Remove skin and bones; shred flesh into flakes to make a total of 2 cups. 3 In a small frying pan, sauté garlic and onions in butter let cool. 4 In a large bowl, mix flaked milkfish, garlic, onions, and the rest of the ingredients. Pour mixture into a greased 4x8-inch loaf pan and bake for 20 to 25 minutes or until set. Let cool. 5 While baking, make the gravy: In a saucepan, melt butter. Add flour and cook for 30 seconds or until light brown. Add chicken stock gradually while whisking continuously to avoid lumps from forming. Let mixture simmer for 5 minutes. 6 Add cream and mustard and mix well. Season to taste with nutmeg, salt, and pepper. 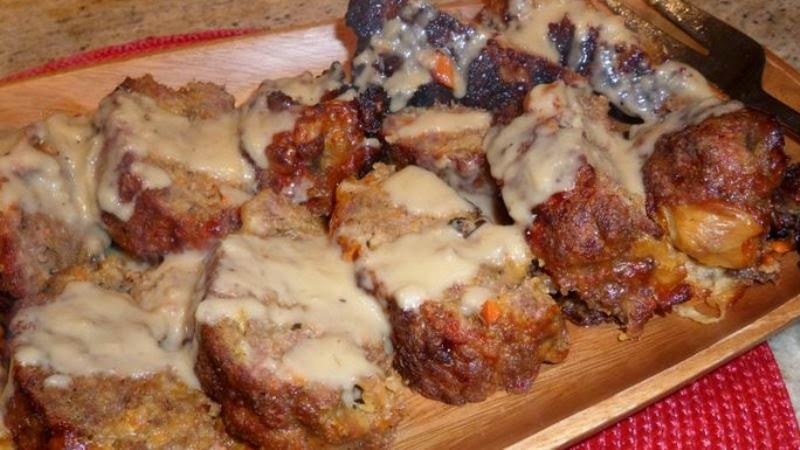 7 Slice cooled fish loaf and serve with gravy. Tilapia is a versatile fish, which is why you need to use deboning technique before you fry the fish. You can also use other techniques as long as you know how. You will need a very sharp knife and some practice to get this right. Just take your time at first. Also, you can use other kinds of fish for making tempura. You can instantly freeze for later use. 1. Get your cooking oil up to 360-370 degrees. While the oil is heating, cut the shad fillets into serving pieces and salt lightly. Mix all the dry ingredients for the tempura batter. Turn your oven to the “warm” setting, and place a cookie sheet inside. Place a wire rack on top of the cookie sheet. 2.When the oil it hot, mix the egg yolk and the sparkling water into the dry tempura batter ingredients and stir only until just combined; it’s OK to have a few lumps. Dip some of the tilapia into the batter, making sure the batter gets into the slits you cut into the fish using the honegiri technique or other techniques. Fry the fish until golden brown, about 3-4 minutes. Make sure the fish does not stick to the bottom of the pot, and use a chopstick to dislodge any pieces that do stick. 3. When each batch is done, transfer it to the wire rack in the oven. When all the fish is done, serve at once with ponzu sauce, soy sauce or any other dipping sauce. People are often mystified at how they can buy good shrimps and for good reason, as there are tons of varieties for sale. When looking for the best shrimp for dinner, there are three main factors that will help you to choose the best: Fresh or frozen shrimp, what size shrimp you need, and what format the shrimp are sold in. Whether you are confused about the sizing system, if you should be buying fresh versus frozen or how to make sure the quality is top-notch, shopping for shrimp can be a befuddling task. The first thing to think about when looking for high quality shrimp is the freezing. 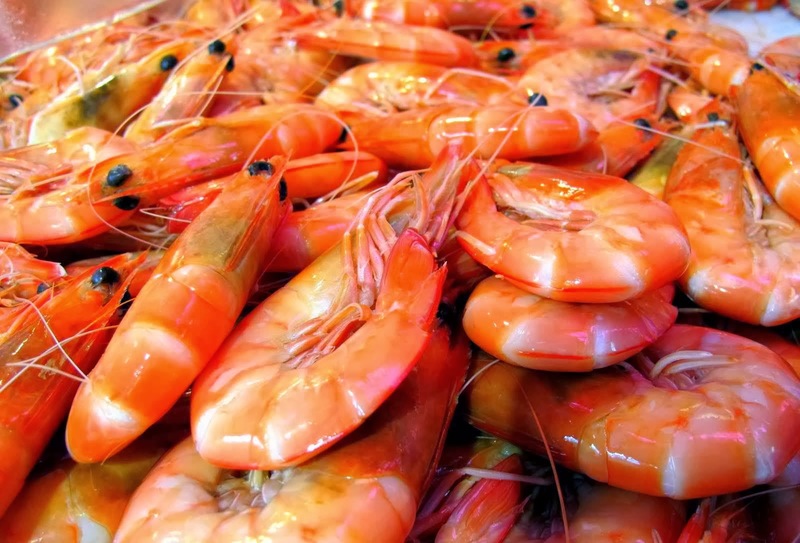 Unless the shrimp is extremely local, all shrimp has been previously frozen. This means that even the shrimp at the seafood counter is previously frozen"and by law, should state that. You can always ask is this previously frozen if need be. Do not purchase the thawed shrimp from the counter if you are not planning to use the shrimp that night. It is the same as what's in the freezer, only you have less control over its care. Once you've learned that the secret to buying good shrimp is to find the freezer section, you can pick from what may be a wide variety of sizes. If you have a recipe, it should say what size you need. Shrimp are sized by how many fit in a pound, so you'll often see it specified that you need 21-25 ct (large) or something similar. That means there are 21 to 25 individual shrimp of that size in a pound. If you are grilling or serving the shrimp as a main, you probably want 21-25 or larger (16-20, U16). If you are stir-frying or adding to a soup or pasta dish, you probably want a smaller shrimp (31-35 or 36-40). If you purchase an all-natural shrimp, it will not contain a preservation agent called sodium tri-polyphosphate, and thus will be about the same size after cooking as it is before. The cheaper the shrimp, often the more "STP" as it's called, is added, so the more the shrimp will shrink in the cooking process. If you want top quality shrimp, check the ingredients and make sure there is no sodium tri-polyphosphate added. Once you have the proper size of shrimp the next step in figuring out how to buy good shrimp is to decide in what form you need them. Shrimp have heads, tails, veins and shells, and you'll find they are sold with any number of combinations of those on or off, either deveined or not. Most of the shrimp's flavor comes from the shell and the head, so if you can cook them with those both on, you'll get the most delicious shrimp in the store, though you'll have a lot more work to do peeling them later. If you want the easiest shrimp to deal with, look for deveined, peeled, headless shrimp. Cooked shrimp are another option in the freezer. If the shrimp are cooked, it is most likely without head, vein or shell. These shrimp will have less flavor than if you cook them yourself, but will save you a lot of time and effort. If you don't want to deal with the process of peeling or deveining a shrimp, this is a good way to avoid it. The last step in purchasing the best shrimp in the store is to take care of it. Keep it completely frozen until 24 hours before you plan to use it, then defrost it slowly by putting it in the refrigerator. If you need to use it quickly, leave it wrapped in plastic and place under cool running water for 15-20 minutes, until defrost. 1) In a large pan, heat the olive oil over medium-high heat until hot, about 2-3 minutes. Add the shallots and lemongrass and cook for 2 minutes, stirring often. Add the garlic and cook for another minute, stirring well. 2) Arrange the king or snow crab legs in a large pot with a steamer insert set inside. Pour enough water into the pot to come up to the bottom of the steamer, but do not let the crab sit in water. Cover and turn the heat on to medium. 3) Add the wine, the grated ginger and a little salt and turn the heat up to high. Boil off the wine by half, about 5 minutes. Turn off the heat, add the lemon juice, one tablespoon of celery leaves (leaves from the top of a bunch of celery you buy in the store), and taste for salt again -- add some if you need it. 4) If the crabs have not already been steaming, turn the heat on the pot to high and steam the crabs for 5 minutes; remember king and snow crab legs are pre-cooked, so you are just heating them up. 5) Pour the sauce into a food processor and blitz it until it becomes a thick puree; it should look a bit like a light green mayo, as everything will emulsify. Or, you can use soy sauce, lemon juice and piece of fresh red chili, for spiciness. 6) Remove the crab meat from the shells with scissors or kitchen shears and set in a bowl. 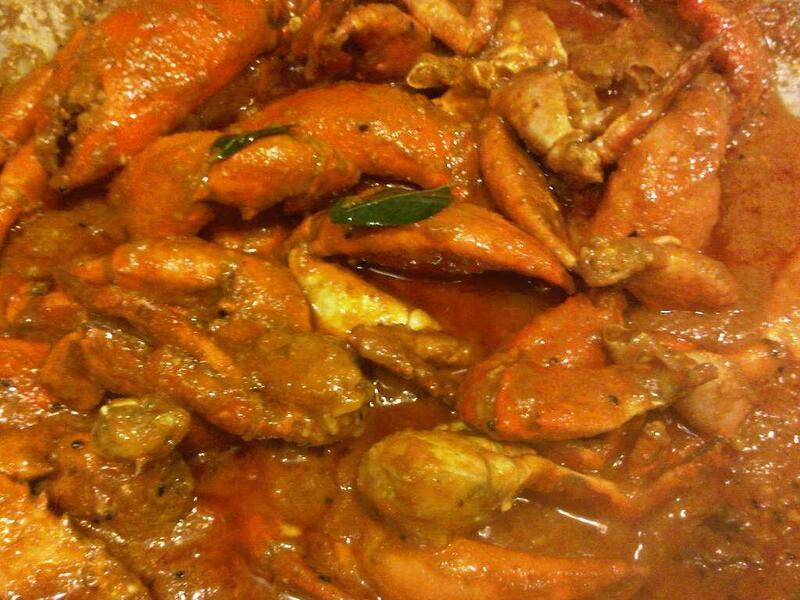 7) To serve, lay some sauce down on a plate and top with nice leg pieces of the crab. Top with the other tablespoon of celery leaves and serve hot or at room temperature. 1.) Rinse the salmon and pat dry. Sprinkle with salt on both sides and set aside. 2.) Bring the water and chicken broth to a simmer and add the sage sprig. Taste for salt and add it needed. Pour in the lentils and let simmer until just done. You want them al dente. Drain into a colander, remove the sage and set aside. 3.) Meanwhile, heat the 2 tablespoons olive oil in a pan over medium-high heat. When it’s hot, add the shallot, salami, mushrooms and chili and saute until it begins to brown. Turn off the heat and add all but 2 tablespoons of the lentils and parsley. Mix well and set aside. 4.) Get another pan hot and add the grape-seed oil; you can use canola oil if you can’t find grape-seed. Get the oil good and hot. Pat the fish fillets dry again and place flesh side down on the pan. You may need to do this in batches. 5.) Turn the heat down to medium-high and sear for 3-5 minutes, depending on how thick the fillet is. Turn carefully and sear on the other side for 3-4 minutes. 6.) After you turn the fish, add in 1 tablespoon of salmon caviar to the lentils and give it some lemon juice. mix gently to combine. 7.) To assemble, lay out some of the lentil mixture and top with the steelhead. Mix the remaining salmon caviar and beluga lentils and top the fish with it. Give the fish a little hit of lemon juice and serve at once. All Rights Reserved@Fernando Lachica 2013. Powered by Blogger. 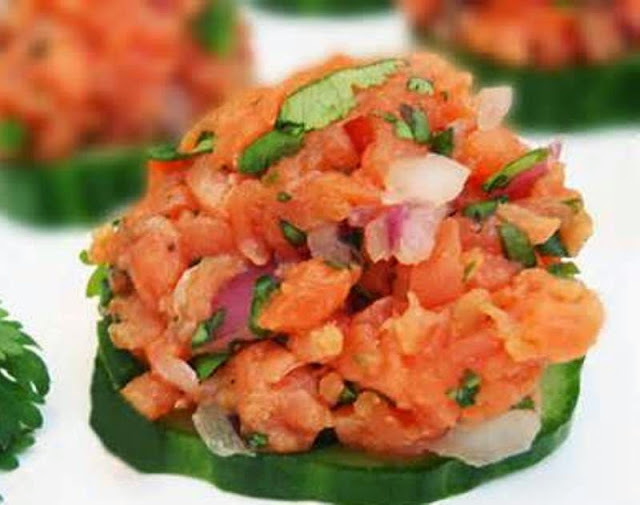 Copyright © Fernando Lachica 2013 Fish and Seafood Recipes Worldwide. All rights reserved.